 Develop novel and innovative smart solutions to take a leading position in their target markets.  Use the most advanced technologies and industrialized solutions to link the physical world with the virtual world in combining hardware and software expertise.  Gain premium access to resources, competencies and reduce development time.  Enter into a unique European ecosystem gathering leading industrial companies, world-class research organizations, innovation accelerators and private investors.  Product support via industrial platforms - existing products provided by market leaders (AVL, Intel, ST and Thales) - in the domain of cyber-physical and embedded systems that can bring the innovation to a state of maturity.  Technical expertise via advanced platforms by RTOs(BME,CSEM,DigitalCatapult,Fraunhofer IISB, fortiss, KTH, Unican) - either innovative technical solutions or testbeds - which will add value to the product. 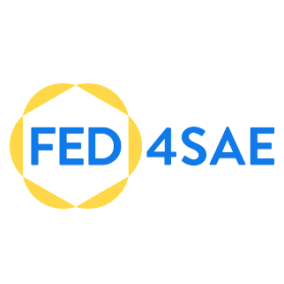  Innovation management - focusing on business - to help your innovation get to the market via the FED4SAE and the Smart Anything Everywhere ecosystem.  Up to €58,000 in funding - representing 70% of the declared budget in your proposal. FED4SAE is co-funded by the European Community's Horizon 2020 Programme under grant agreement no. 761708.